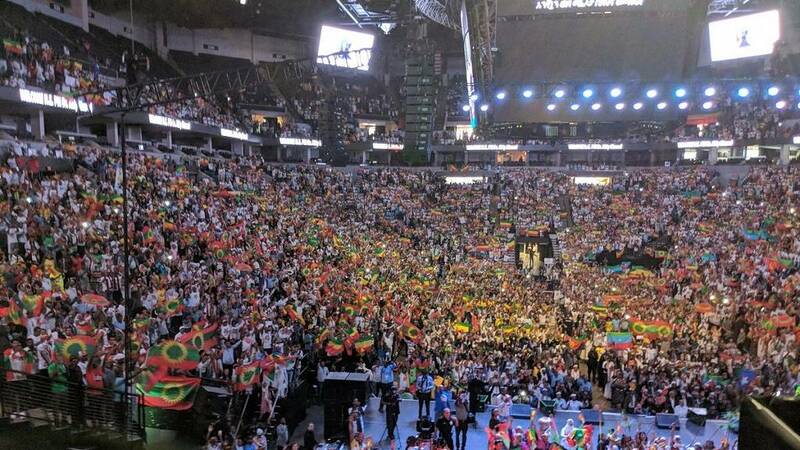 Thousands of Ethiopians in the United States’ city of Minnesota packed the Target Center to catch a glimpse of the Prime Minister Abiy Ahmed. Clad in bright national and traditional colours, the crowd packed the center long before the arrival of the PM and his team. 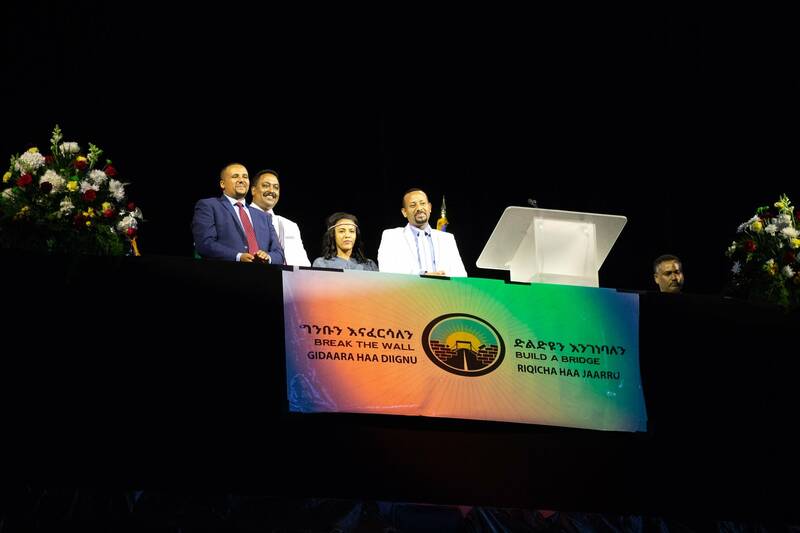 Abiy’s call for peace and unity of Ethiopians has been a common message on his tour and he was supposed to reiterate that message. 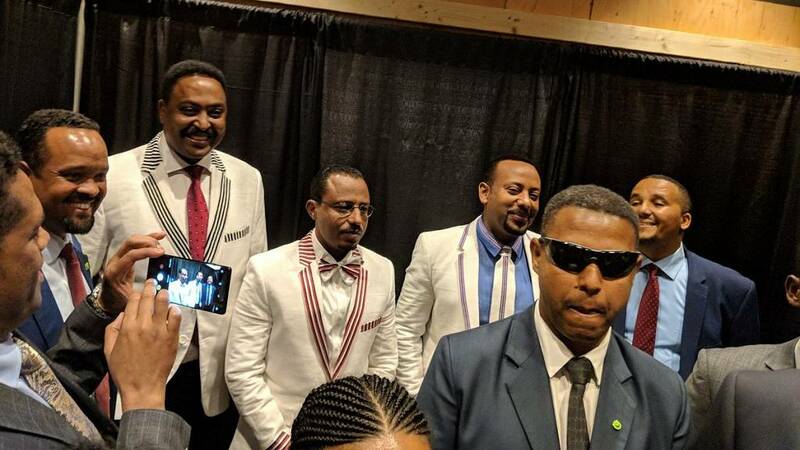 The PM and his entourage comprising the Foreign Affairs Minister, Information Minister and President of the Oromia regional state arrived in the state for the final leg of Abiy’s diaspora tour. The tour took him first to Washington DC – where he held high-level political and economic meetings before addressing the Ethiopian diaspora. Next stop was in Los Angeles before arriving in Minnesota on Monday. 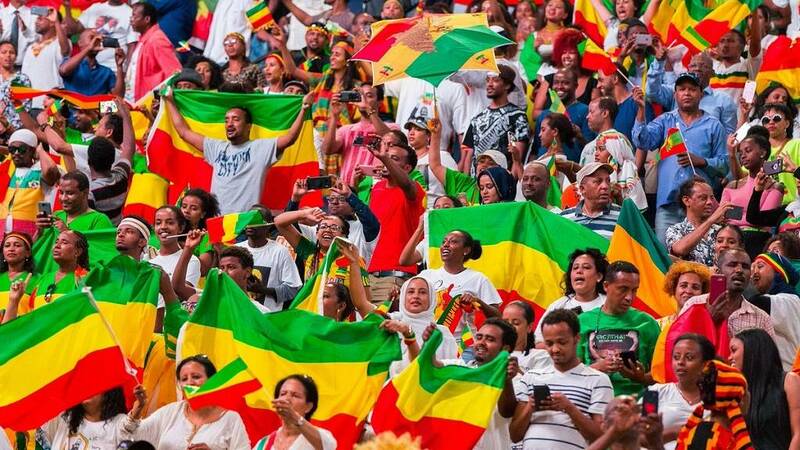 If you can’t understand & try to accept the collective images coming out of #Minnesota as the image of #Ethiopia, you will have failed the mini litmus test of understanding the Ethiopia to come; the Ethiopia we will be negotiating to build & the Ethiopia we will be settling for. 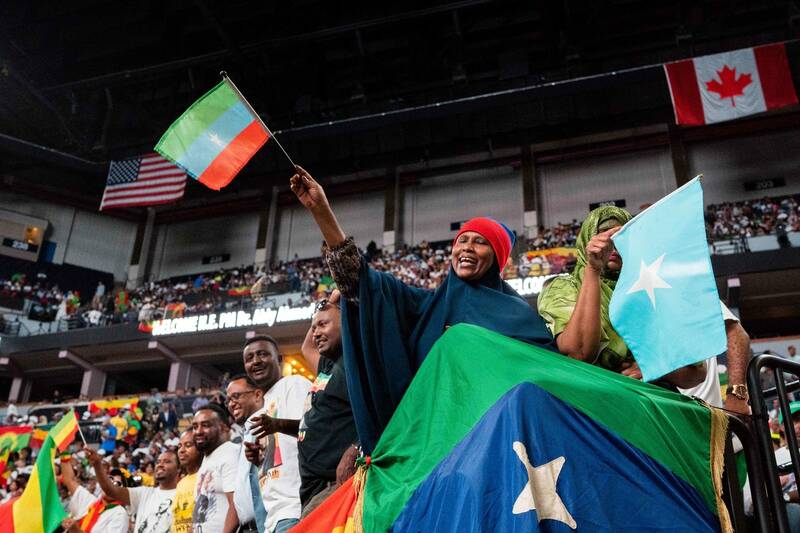 So proud of Minnesota (aka little Oromia) right now. Thus far, it is looking like a showpiece of diversity, inclusion, and tolerance. I hope it ends that way – as an outstanding example of the type. 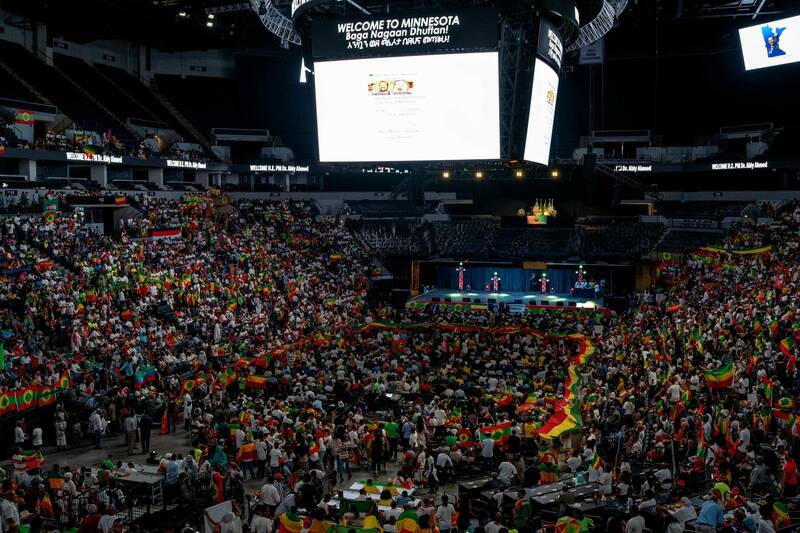 The prime minister of Ethiopia received a warm welcome when he visited Minneapolis Monday. 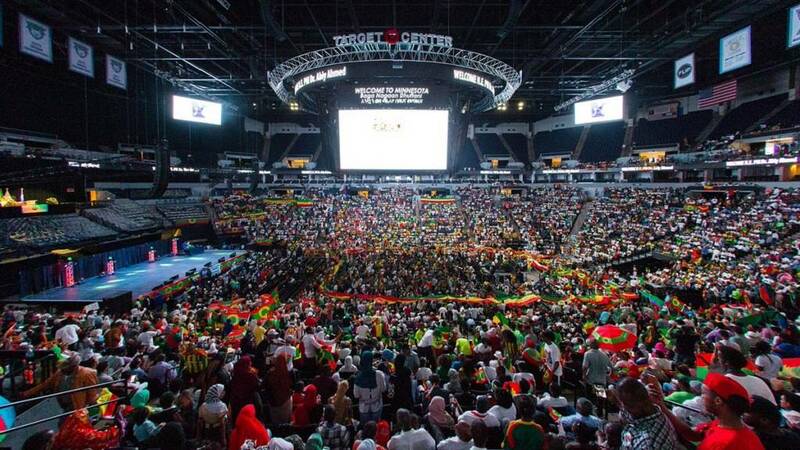 Thousands of supporters and overjoyed members of Minnesota’s large Ethiopian community celebrated the visit. 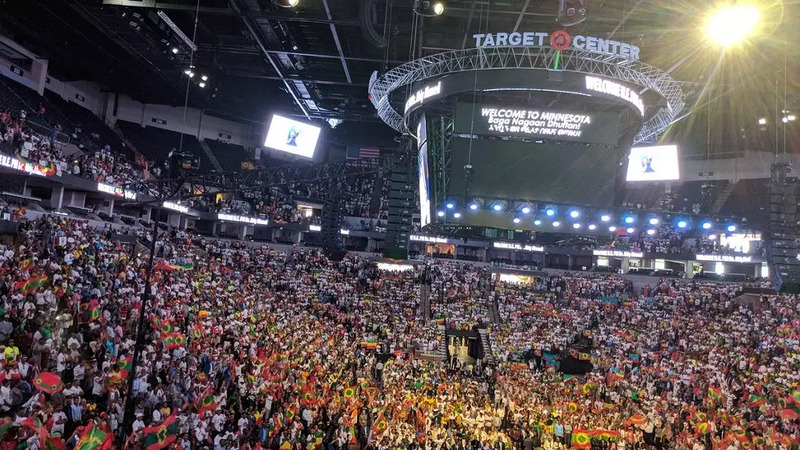 Prime Minister Abiy Ahmed was scheduled to appear at Target Center at 2:30 p.m. but did not appear until nearly 5 p.m.
That didn’t diminish the crowd’s enthusiasm, though. As the prime minister spoke supporters applauded and cheered. 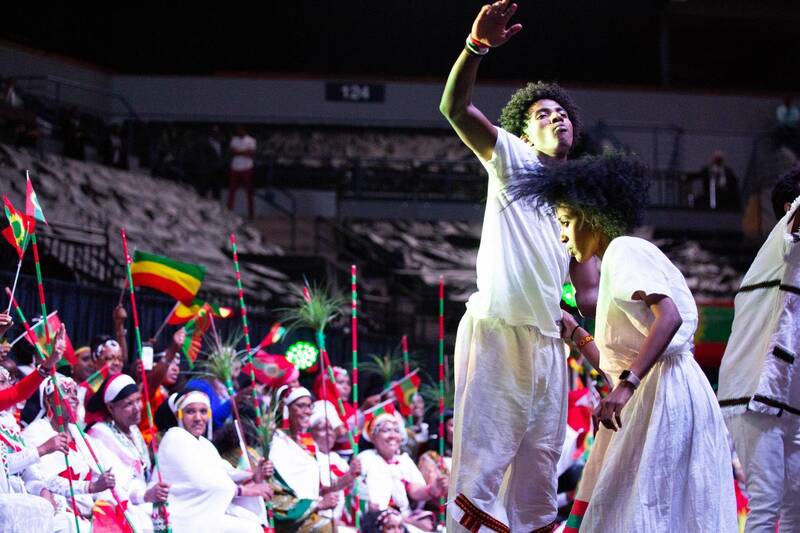 There were groups that also danced and carried large Ethiopian and U.S. flags. 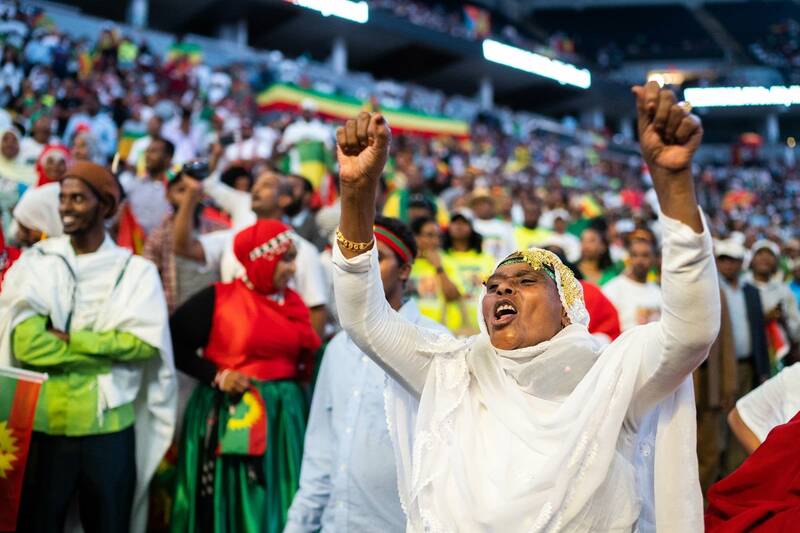 On his U.S. trip, Abiy is inviting Ethiopians who fled the country due to decades of political violence and turmoil to get involved again with the country’s development. 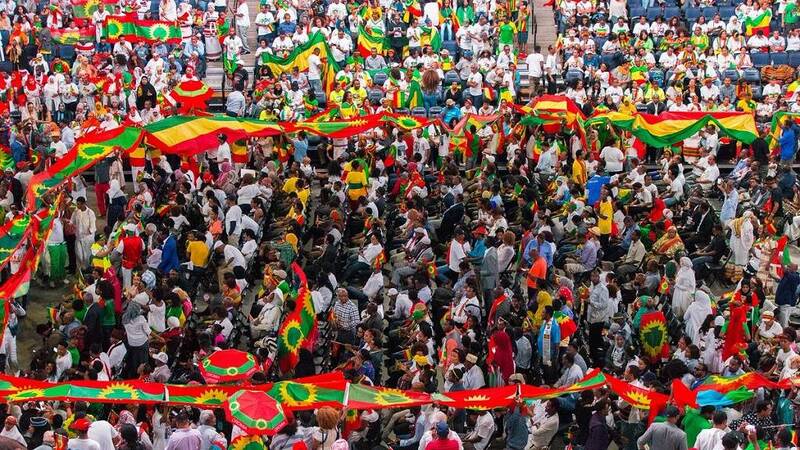 One of his stated goals is to bring democracy to Ethiopia by opening up the country’s political landscape, liberalizing its economy and reviewing ethnic federalism — the country’s way of dividing districts and towns into zones under the control of particular ethnic groups. Posted by OromianEconomist in Business and Economy. The transition from Ethiopian culture to that of the U.S. may have been drastic, but for Metropolitan Transportation Network (MTN) Inc. President and CEO Tashitaa Tufaa, an Ethiopian of the Oromo ethnic group who immigrated here in 1992, adjusting to baseball-consumed television and the occasional unrelenting Minnesota snowstorm was a small price to pay for a life of security. While Tufaa’s talent eventually brought him to own and operate MTN — a school bus company based in Fridley, Minnesota, that provides student transportation for dozens of local public, private, and charter schools and owns more than 300 vehicles — the road to success was windy and unpaved. Although he majored in political science and diplomacy, he couldn’t legally work for the U.S. State Department because he wasn’t yet a U.S. citizen, so he started working a civil service job with the Minnesota government. Tufaa wasn’t earning enough to pay his mortgage, so he started working nights and weekends as a driver for Metro Mobility, a Minneapolis-area transportation provider for people with physical and mental disabilities. There, he discovered an unexpected passion. Despite his formal education and his urge to succeed, Tufaa struggled to hold these jobs. Unsatisfied with unsteady employment and energized with his newfound craving to get behind the wheel, Tufaa was determined to dive into the city of Osseo’s school transportation scene. Because of his persistent effort, Tufaa was awarded a single opportunity to transport three homeless children to school with the van he owned, a task that he says he succeeded at, receiving no complaints. From there, the director started offering him more consistent work, and this one-time errand steadily matured into a full-blown company that he now conservatively estimates to be worth $35 million. Today, Tufaa employs over 400 people who transport more than 15,000 K-12 students to school every day across the Twin Cities metropolitan area. “I did see a need here in the school bus industry for a contractor that was dedicated, that was doing business wholeheartedly,” he says. Tufaa capitalized on this recognized need and founded MTN in 2004. More recently, MTN’s expanding customer base inevitably resulted in the need for a space about 30% larger than the existing one. The new facility is expected to be ready in July. The redevelopment will cost about $2.7 million and is being handled by Thor Companies, a real estate development and construction company that is also based in Fridley. The majority of updates will focus on the exterior site improvements, such as landscaping, a complete resurfacing of the asphalt parking lot, and enhancements to the security systems. Because the agency is responsible for the well-being of thousands of students, Tufaa says he ensures that each bus is equipped with top-notch technology, from two-way radios to GPS to surveillance camera systems. He recounts an instance where a driver’s bus had broken down and hisradio had stopped working. Fortunately, the team realized it had broken down because of its lack of movement on the GPS system. Sure enough, upon physically locating the bus through the ground tracking system, Tufaa and his team found it immobile and were able to service it. 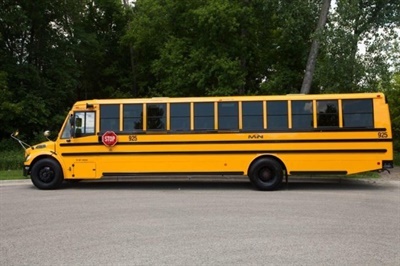 Because Metropolitan Transportation Network transports more than 15,000 students daily, Tufaa says he ensures each bus has quality safety equipment, such as two-way radios, GPS, and surveillance cameras. Tufaa calls himself a “field guy,” meaning he does not like to remain in the office. In fact, despite MTN’s recent expansion, Tufaa decided not to build himself a personal office. Instead, he works in available desk spaces when necessary and still drives buses every day. Tufaa attributes his leadership style to his perilous upbringing in Ethiopia. Because he spent many years of his life in danger, he’s able to more easily adapt to everyday business challenges. MTN is undergoing a $2.7 million expansion, which includes renovated corporate offices, a fleet maintenance shop, a break room, and parking inside for the buses. Appreciation for MTN employees stands tall on Tufaa’s priorities as a business owner. Every year, the company holds an employee appreciation banquet where everyone, from the human resources team to the workshop mechanics, is invited to mingle with their peers, along with their plus-one. Other MTN-planned gatherings that aim to boost company morale include a monthly bulletin that informs the team about company happenings and employee birthdays, as well as weekly prepared breakfast for drivers, blood drives, summer barbecues, and day trips to support the local pro baseball team at the Minnesota Twins stadium. Sometimes the recognition goes beyond simple social events, like when Tufaa expressed his gratitude by naming a newly built site the Iverson Terminal, after the last name of a driver who had suddenly passed away. Tufaa’s triumph does not come without its challenges. 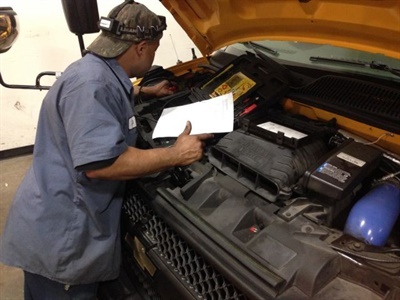 As with school bus contractors and districts across the U.S., he has been affected by the widespread driver shortage, and he worries about Minnesota’s slippery roads in the winter. He’s also had to forgo significant family events in order to keep his business afloat, especially while it was just getting started. Eventually, the achievements overcame the hardships, and now Tufaa and the whole MTN team work fervently to transport the community’s youth to their daily education. Posted by OromianEconomist in OMN. A former refugee from Somalia made history this week in Minnesota when she knocked off a long-serving legislator in the state’s primary election. Ilhan Omar, 33, handily defeated incumbent Phyllis Kahn, who had served as a state representative for 44 years, on Tuesday. The historic victory made Omar the first Muslim American woman of Somali descent to ever win a state primary and it puts her on the cusp of becoming the country’s first Somali-American legislator. Omar, a Democrat, is the favorite in the November election, and her opponent is also an immigrant from Somali. “Tonight we made history,” Omar told supporters following her big win on Tuesday night. “Tonight marks the beginning of the future of our district, a new era of representation.” She delivered her victory speech in both English and Somali. It’s been a long road for Omar, a community activist and mother of three. As a child, her parents fled Somalia and she lived with them for four years in a Kenyan refugee camp. Eventually, the family was granted the opportunity to become U.S. citizens when Omar was 8. After a brief stay in Virginia, the family settled in Minneapolis, Minnesota, where they began a new life. Nowadays, the Somali immigrant population has exploded to the point where her neighborhood is known as Little Mogadishu. Constituents there were largely overjoyed with her ascent. In Minneapolis, Somali immigrants have had recent successes being elected to local government posts, but Omar’s election on November would be a real breakthrough. Her grandfather, she said in her nomination acceptance speech, instilled in her what has become a deep interest in local politics. She also discussed some of the challenges including sexism and misogyny that she encountered through her campaign. Some community leaders, she said, “bought into the narrative of misogyny” and told her it was impossible for a Somali woman to win the nomination for that seat. She was happy to prove those skeptics wrong, she told supporters. Omar is hopeful in her outlook toward the November election, where the opportunity to make history again awaits. “I hope our story is an inspirational story to many people,” she told The Associated Press in an interview. She went on to list “closing the opportunity gap in our educational system, working on criminal justice reform, taking on policing reform,” as some of her top priorities. Watch her emotional victory speech below. April 25, 2016 – Ilhan Omar strongly condemns the brutal crackdown on innocent unarmed peaceful protestors during the previous and current Oromo Protests. 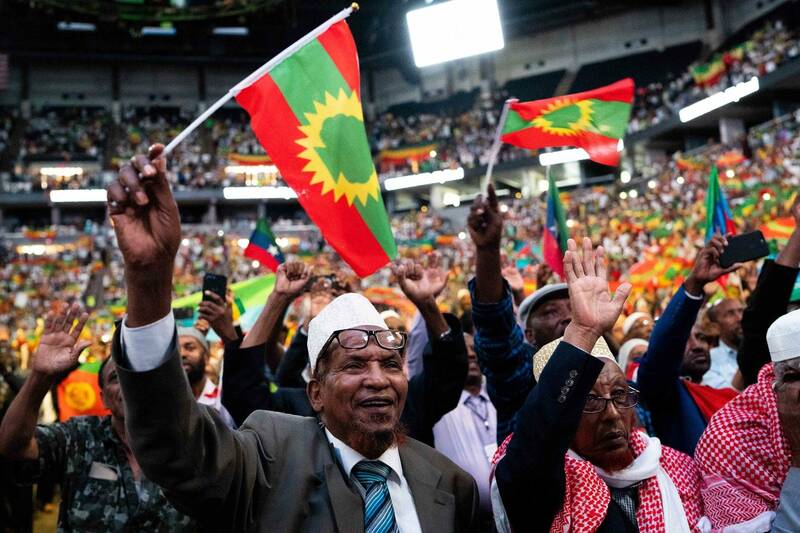 “I stand with the Oromo struggle for freedom, justice and democracy in Ethiopia,” said Omar. “I urge the United States Government to stand by peaceful protestors and sanction Ethiopia, in the event it continues the current state-led violence in Oromia. “The current protests in Oromia are not new. In April 2014, students from the Oromia region began protesting against the new Addis Ababa Integrated Master Plan, which incorporates smaller towns surrounding Addis Ababa, displacing millions without compensation and endangering the economic livelihood of ethnic Oromo people in Oromia. This plan will ensure that millions of people in Oromia will be disposed of their land, their survival both in economic and cultural terms will be threatened. 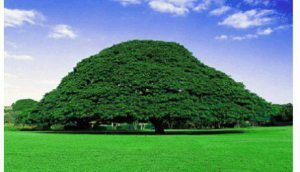 The Master Plan intends to expose Oromia’s natural habitat to risk, threaten economic livelihood and violate the Ethiopian constitution. As a result of the 2014 peaceful protests, over 140 people, mainly students, were mercilessly killed by Ethiopian security personnel. No independent investigation was conducted and civilians in Oromia were left burying their dead without any guarantee of justice. “In November 2015, protests erupted again in the Oromia region. As a result, over 400 people have been killed in the past five months, thousands taken to detention camps, opposition leaders arrested and Martial Law was declared as a tactic to silence dissent. Ethiopia is an important strategic ally to the United States, but we must be wary of supporting governments that conduct in various human rights violations and condemn actions that equate to crimes against humanity. About 200 members of Minnesota’s Oromo community rallied at the State Capitol on Monday to protest treatment at the hands of the Ethiopian government. The protest was in response to a crackdown on Oromo protestors in Ethiopia, who have opposed government plans to evict farmers from their land to expand Addis Abba, Ethiopia’s capital city. 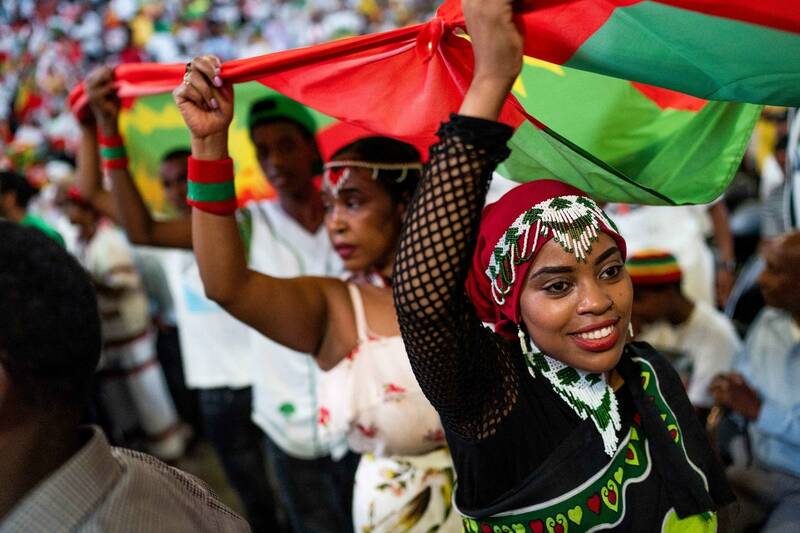 Hundreds of Oromo — the largest ethnic group in Ethiopia — have been killed by the Ethiopian government since last November, protestors say, and thousands more have been imprisoned for opposing the government. More recently, march organizers said, the Oromian region of the East African nation has been under martial law. 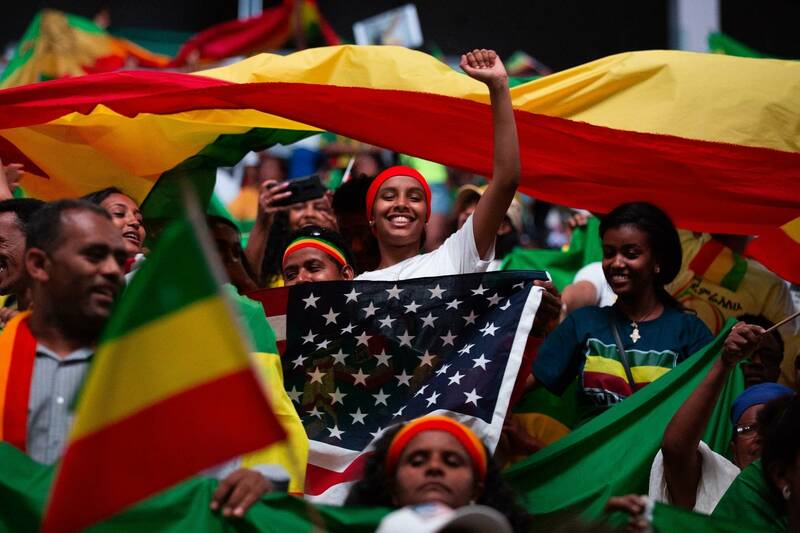 To put pressure on the Ethiopian government, protestors called for the United States to withhold aid to the Ethiopian government until the violence stops. This was the fourth time Minnesota’s Oromo community. Monday’s march coincided with others nationwide, said Urgo Shanka, one of the event’s organizers and a youth coordinator with the Oromo Womens Organization. Aadland is a University of Minnesota student on assignment for the Star Tribune. Tags: Africa, Minnesota, Oromia, OromoProtests2016, Three members of the US Congress urge Secretary of State to take action against Ethiopian regime. The two U.S Senators from the state of Minnesota, Amy Klobuchar and Al Franken sent to States Secretary John Kerry their strong legislative support to the ongoing #OromoProtests by issuing the letters below. We write to request that the State Department provide recommendations for actions the United States can take to address the escalating violence against civilians in the Oromia region of Ethiopia. In November 2015, farmers and students in the Oromia region began protests in response to the Ethiopian government’s Master Plan to expand Addis Ababa into surrounding farmland. We are deeply concerned by reports from Human Rights Watch and the media that indicate at least 140 protesters have been killed by Ethiopian security forces. Minnesota is home to the largest Oromo population in the United States, and our constituents are concerned about the reports of violence and intimidation protesters have faced from government security forces. 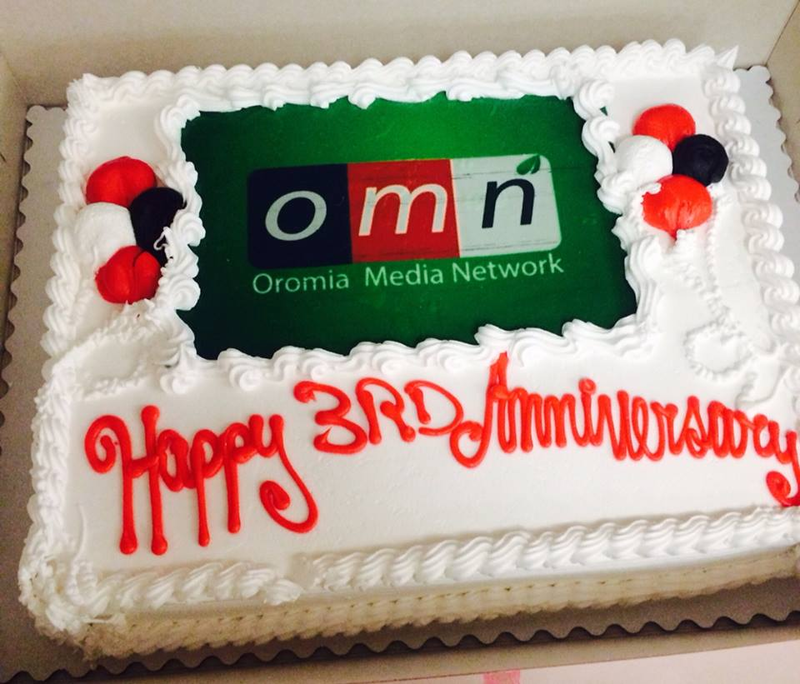 We want to thank you for condemning the recent killings and violence against peaceful Oromo protesters. However, we believe stronger action is required. Reports from Human Rights Watch, Amnesty International, and the Committee to Protect Journalists have alleged that government security forces are using arbitrary arrests and prosecution to silence journalists and Ethiopian citizens who are exercising freedom of expression. 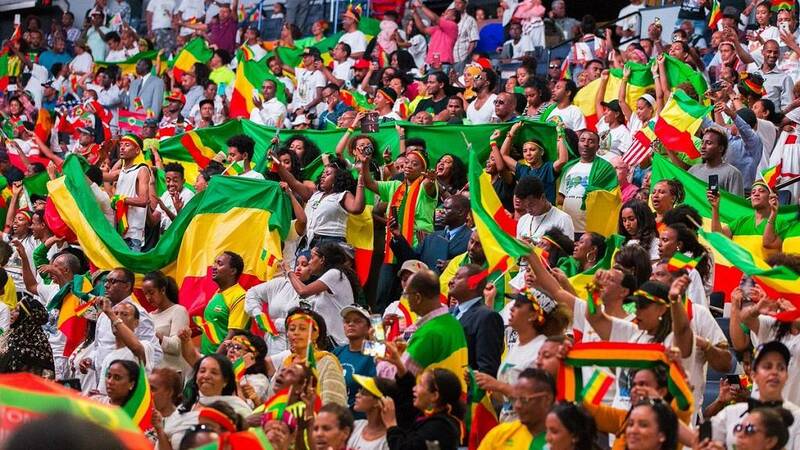 Ethiopia’s restrictions on freedom of the press and independent civil society groups mean those monitoring human rights in Ethiopia increasingly rely on social media reports from protesters and contacts on the ground. There is widespread fear that violence will escalate and that the government is taking steps to isolate the Oromia region. Reports indicate that authorities have recently cut mobile phone coverage in areas where there is a heavy military presence, further escalating fears about the potential for increased violence. The United States Congress sent a strong message to Ethiopia regarding the government’s Master Plan and harsh crackdown on peaceful protestors by passing a provision in the 2015 Omnibus Appropriations Bill to ensure U.S. aid to Ethiopia cannot be used to support the forced evictions of farmers. The United States has a compelling interest in ensuring U.S. resources provided to Ethiopia are not being used to violate human rights. We would like more information regarding the alleged actions by the Ethiopian government and how the United States can ensure that basic human rights are not being violated. We respectfully ask you to conduct a full, thorough review of this ongoing situation and report to Congress on immediate actions that can be taken to protect innocent civilians in Ethiopia. Thank you for your attention to this important human rights manner. 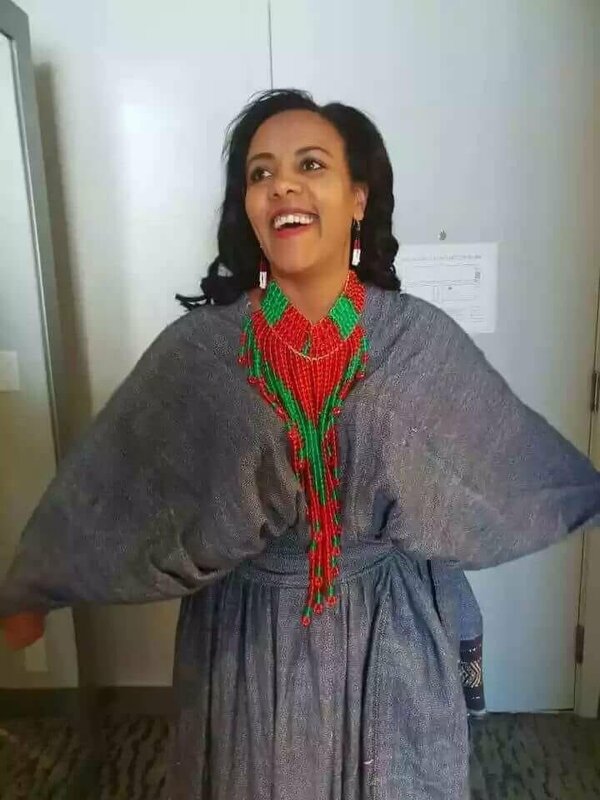 Daandiin maqaa Oromootii moggaafame namni hedduun achitti argamuun haala bareedaan ebbifame. Daandiin kun kan eebbifame Birraa 12 Bara 2015. 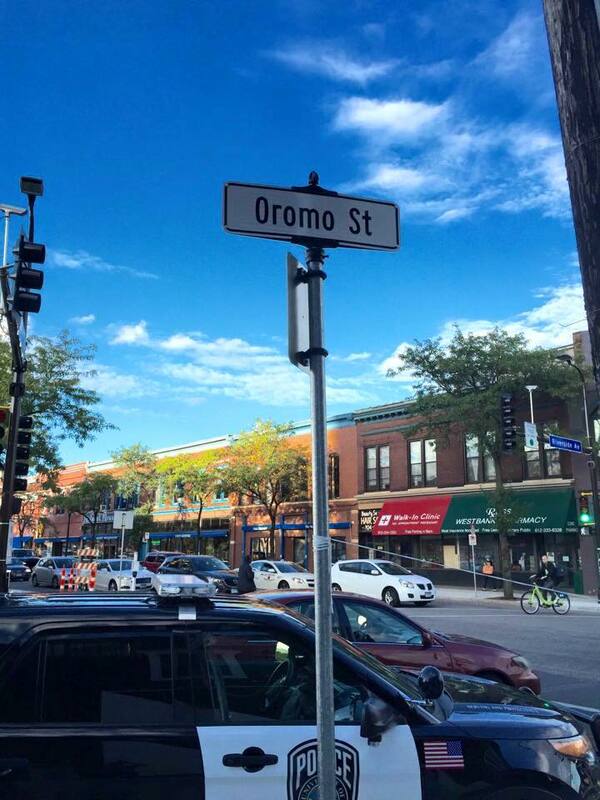 (Advocacy4Oromia, 11 September 2015) Minnesota Oromos get their very own street under their community’s name-Oromo Street, today, 11 of September 2015. Little Oromia’s ‘Oromo Street’ was officially inaugurated on September 12, 2015. 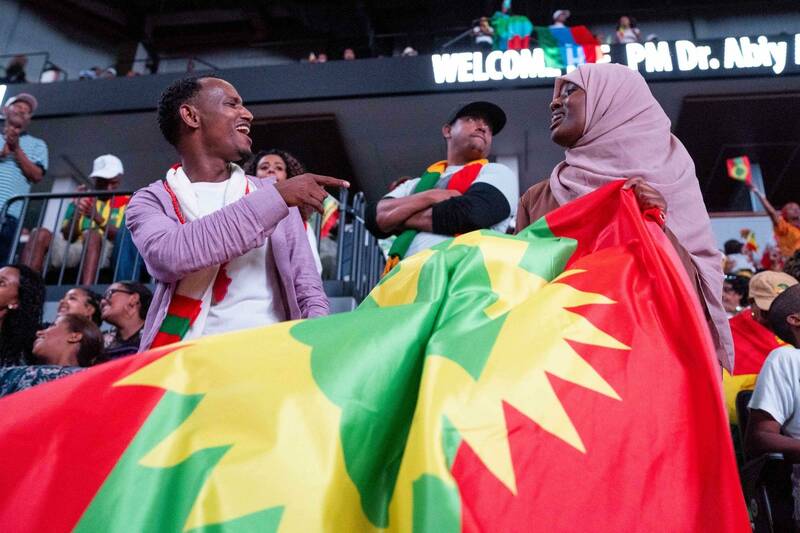 Minnesota of United States of America is widely known as “Little Oromia” among Oromos with an estimated 40,000 Oromos who flee from their homeland,Oromia, East Africa, due to political persecution. The Oromo are the single largest national group in Ethiopia, constituting nearly half of the country’s 98 million population. 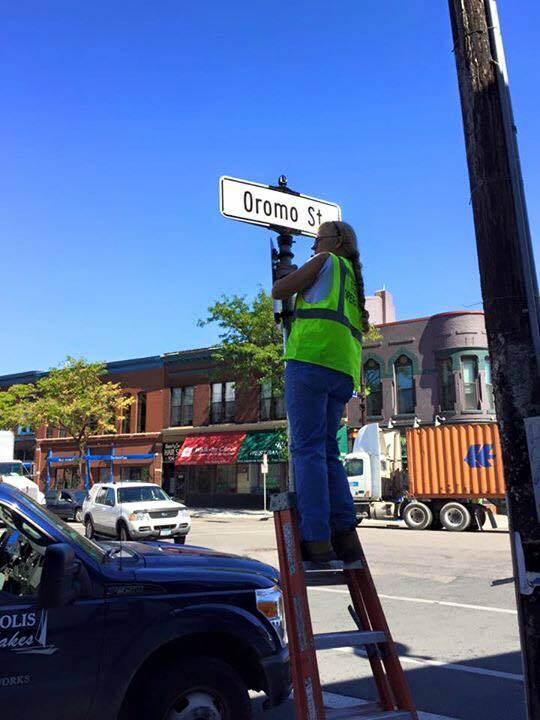 “Minnesota Oromos get their very own street under their community’s name today! How Awesome!,” said Demitu Argo on her Facebook timeline. 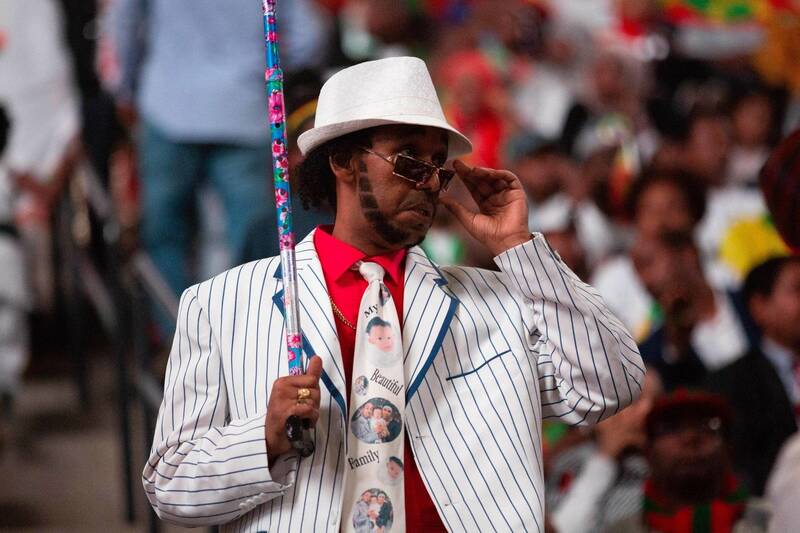 “It is official that the most anticipated commemoration of ‪#‎Oromo‬ and ‪#‎Somali‬ street is happening this coming Saturday. Cheers to all my East African immigrants! In celebration, the WestBank communities are hosting 1st Annual Block party. Here is the program breakdowns on Saturday 12, 2015. 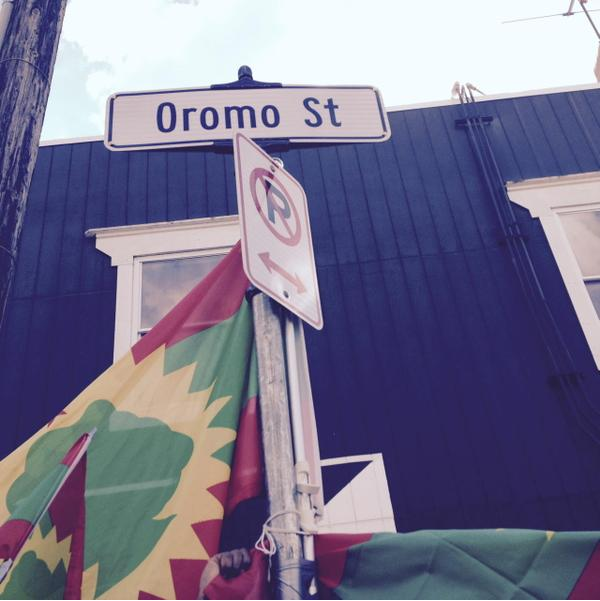 Can’t wait to park on Oromo street!,” said Edao Dawano on his Facebook timeline. 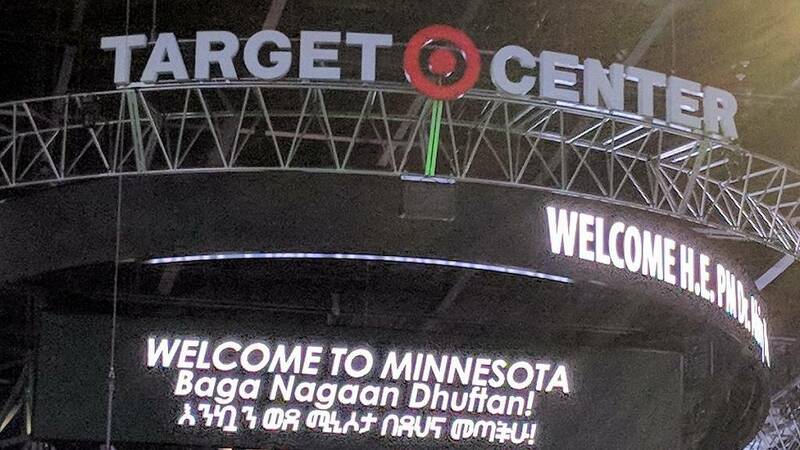 “Minneapolis to officially designate Oromo street in a ceremony on Saturday,” said on its Facebook OPride.com. This street name was proposed by Abdi Warsame who was born in Somalia and grew up in the United Kingdom of Great Britain where he studied and obtained a B.Sc. in Business and a Masters Degree in International Business. Following that proposal, the Minneapolis City Planning Commission held a public hearing on Jan. 12 to decide on Council Member Abdi Warsame’s application for commemorative street names along the city’s Cedar riverside area. 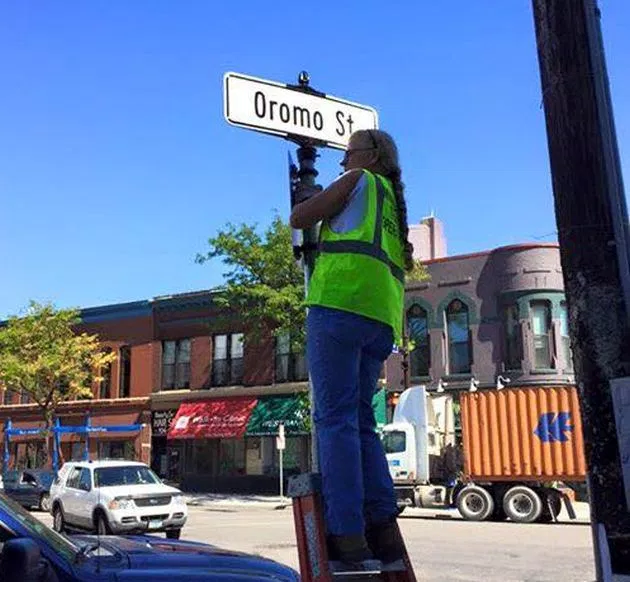 Additional background information can be get from http://www.opride.com/oromsis/news/3784-minneapolis-may-soon-get-a-commemorative-oromo-street. Posted by OromianEconomist in Knowledge and the Colonizing Structure. African Heritage. The Genocide Against Oromo Nation.